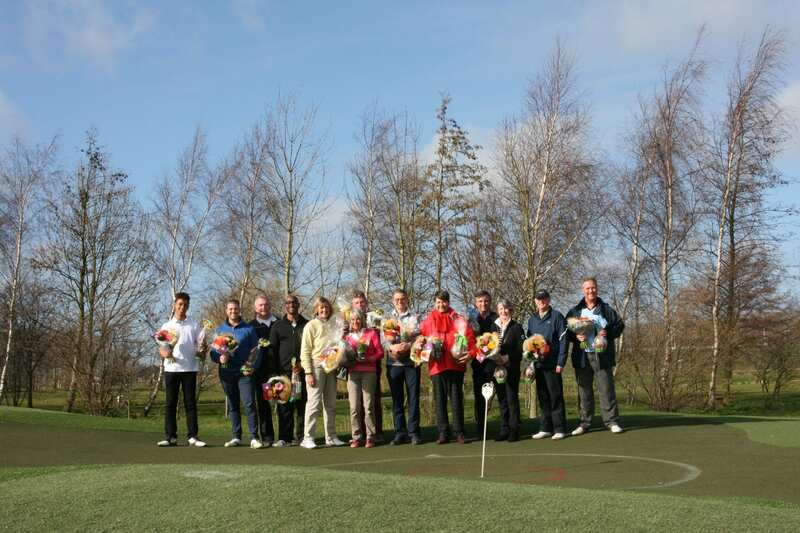 At Delfland Golf course you can learn how to play golf by taking private lessons or sign in for one of our group courses. The lessons are given by one of our six PGA qualified golf professionals, all speaking Dutch, English and some of them also Spanish. It is possible to take private lessons up to 5 people and the group courses are depending on the level of the course, minimum of four to a maximum of six people. Lessons are given from Monday through Sunday from 8 am until 9 pm. A private lesson can be booked via the website “lesagenda online” for which you first need to register after which you log in and book a lesson for the amount of time you require. Of course you can also phone directly The Golfacademy or leave a message in the answering machine. The professional will meet you at the meeting point/ bulletin board in the pavilion. The lessons are paid in cash to the golf professional. 2 persons 25 minutes € 16,– p.p. 2 persons 50 minutes € 32,– p.p. 3 persons 50 minutes € 24,– p.p. 4 persons 50 minutes € 20,– p.p. 5 persons 50 minutes € 18,– p.p. Throughout the year we offer group courses on different levels, starting from scratch with an Introduction Course up until Handicap 28 and lower. All current group courses are published on the bulletin board in the Pavilion and on our website (Golfacademy/Golfcursus). If you sign in for a group course you also commit to the lesson schedule of the course. If there is a course you want to take part in but the days when this course is given do not fit your schedule, please don’t hesitate to contact the Golfacademy or send an email to golfacademy@delflandgolf.nl. Weekly we offer a wide range of clinics of 75 minutes. The clinics offered are one time only and depending on the type of clinic there will be 6 or 8 people that can sign in. The Golfacademy members pay a reduced fee of € 15,– and non-Academy members € 17,50, this is all listed on the registration form published on the bulletin board and on our website (Golfacademy/Golfclinic). The last 15 minutes of the clinic you will be offered a cup of coffee. Balls for the driving range. In our golf shop you can purchase a ball key which you can upload for a certain amount of balls. The ball key is required for the ball machine on the driving range. Our practice facilities are open for everyone and free of charge, but the balls for the driving range need to be paid for. It is also possible to buy a day ticket minimum € 2,– for 26 balls. If you have any questions don’t hesitate to ask our shop staff. 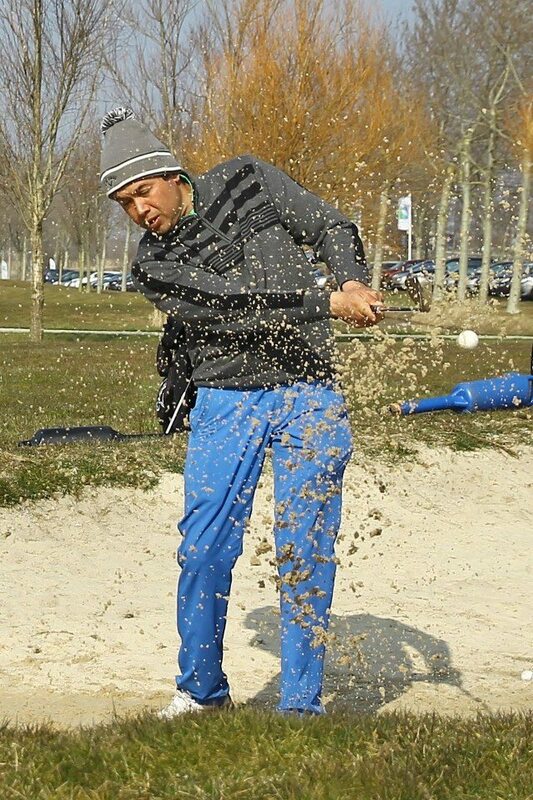 Please wear comfortable clothes and sport shoes with a good profile, preferably golf shoes. If you do not have your own clubs, it is possible to rent a club in our golf shop. (€ 2,50 a club) Please keep your receipts, as it will be deducted from the purchase price if you buy a golf set in our golf shop. There is no charge for clubs during the lessons. For your practice chipping and pitching please use your own golf balls and a ball tube “clikka”. The ball tube can be bought in our golf shop. The greenfees are not included in the lesson price. In case of a course lesson you can book a tee time 1 week prior to your lesson in our golf shop. Greenfee Challenge Course Par 3 € 2,50 p.p. Mobile phones need to be switched off during the golf lessons and it is not allowed to smoke on the driving range.